You Deserve a Better Look! Premium, low-ammonia color with built-in conditioners for shine with less fade. Smaller braids give a natural look. Sewn in more tightly to wash or wear a pony tail without worry. Anastasia will not use formaldehyde producing keratin. All keratin straighteners produce toxic formaldehyde, including "formaldehyde-free" keratin straighteners. 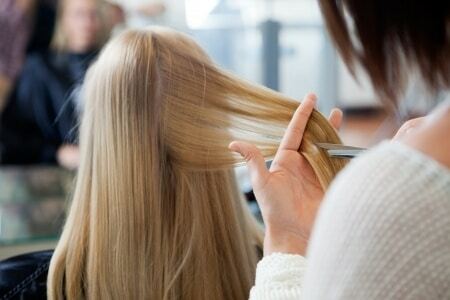 Instead, you get longer lasting straight hair from a more conscientious treatment.